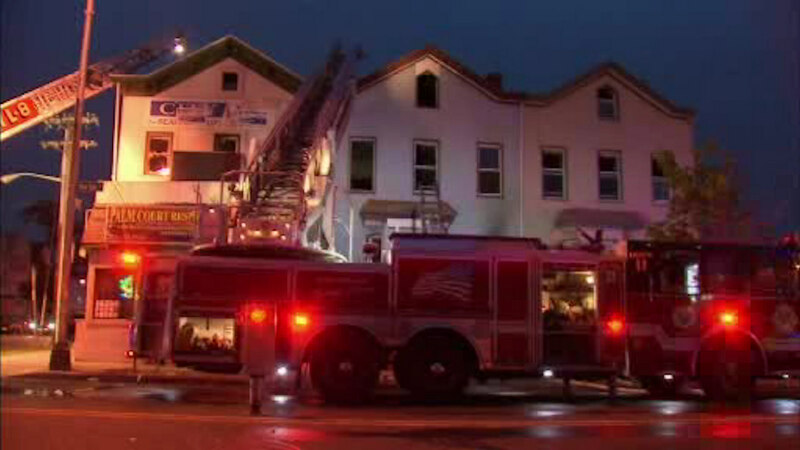 JERSEY CITY, New Jersey (WABC) -- A 62-year-old man was killed on Wednesday night after he was found unconscious in his burning home in Jersey City. The victim was found on the second floor of a home at 410 West Side Avenue. He later died at Jersey City Medical Center. Two firefighters were injured, one with burns to their neck and the other with a cut on their face. The fire appears to have started on the first floor at around 6:30 p.m. in the two-and-a-half story home and was put out in just under an hour according to officials. Four people have been displaced and are currently being assisted by the Red Cross. It's unknown what caused the fire at this point.